The URide Safe® Card has been affectionately called “the gift of peace of mind,” for it offers exactly that to anyone sending a loved one off to college. The program also facilitates the task of local, state and academic officials trying to help keep students out of harm’s way. "We know, from our experience working with college campuses around the state, that when the community gets involved, students are more likely to make good choices. Metro Taxi is a company that works to serve the community, and UNH takes its commitment to ensure student safety and well-being seriously. Together, they have created a resource that will significantly benefit students and their families, and that’s to be commended." 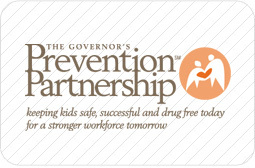 Governor M. Jodi Rell, Connecticut Governor and co-chair of The Governor's Prevention Partnership. "We strongly support the innovative partnership between Metro Taxi and the University of New Haven to bring comfort and security to students and their parents, knowing that they have access to reliable transportation any time. The URide Safe® Card provides another tool for students to make good choices where their safety is concerned." "We believe that this is the first community partnership of its kind in the nation initiated by a taxi cab company. Among our nearly 1,000 member companies, Metro Taxi’s debit card for college students may well become a ‘best practice,’ replicated by colleges and universities everywhere. Metro Taxi is an exemplary member of our association." Al LaGasse, CEO of the Taxicab, Limousine & Paratransit Association, the taxi industry’s international trade association. "The cards are designed to keep the public safe, which mirrors our non-profit’s mission of keeping our neighbors safe and prepared for emergencies."